​to provide quarterly clinics for low income clients. ​We also offer pet pick-up and delivery for the elderly and challenged. ​Preventing a disease or treating a condition before it becomes a problem can dramatically lengthen a pet's life and improve the quality of it, allowing us more time to spend with them. Our pets age much faster than we do, so it is important that they have a comprehensive physical examination at least once a year. Many of the signs we attribute to aging can actually be treated or prevented! Blood work, urinalysis, parasite identification and much more. 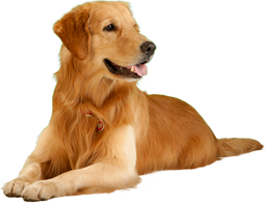 Our on-site machines provide an in-depth analysis to help us identify and treat your pet's ailments. We have the tools and knowledge to diagnose, treat, and manage even complicated medical issues. Diabetes, thyroid disorders and immune-mediated diseases are but a few of a long list of complicated medical cases we are prepared to treat. This non-invasive technology allows the veterinarian to identify internal structures with great accuracy. If indicated, our network of board-certified radiologists can view most radiographic studies within hours of submission. We have both dental x-ray and general x-ray machines. We meet and exceed safety guidelines for surgical procedures. State-of-the-art monitoring equipment and a highly trained staff ensure safety and comfort for your pet. We perform routine surgeries as well as soft tissue and orthopedic. Did you know the health of our pets' mouths is directly linked to their overall health? Many liver, kidney, and heart problems can be prevented with proper oral hygiene. Our dental x-ray assists us in the teeth cleaning process, allowing us to view tooth roots and bone structure for issues we can't see with the naked eye. NEW!! Element Coag Machine - Measures blood clotting times and blood types cats and dogs! Paws & Relax is our upscale dog boarding facility with a lot of room to run and play, complete with picture reports! ​Visit pawsandrelaxblackhills.com to learn more and register!